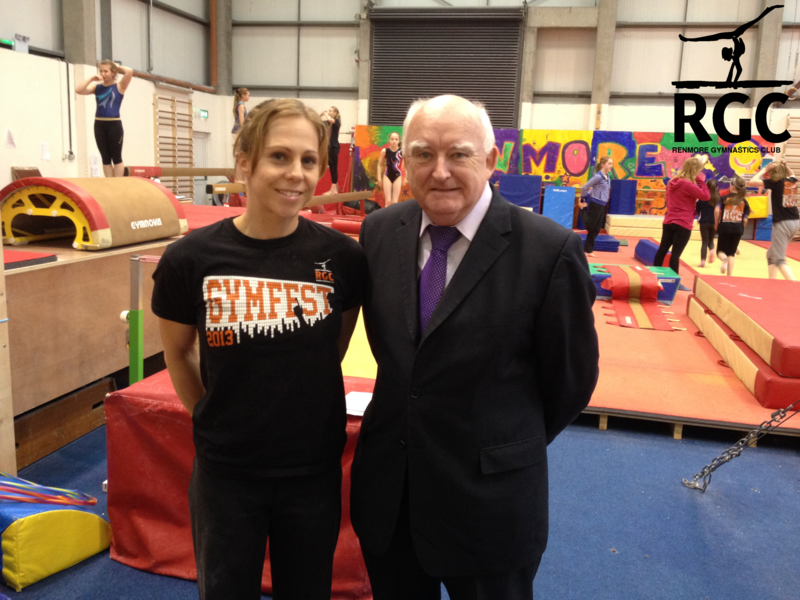 I was delighted to visit the Renmore Gymnastics training centre today at Unit 8 Racecourse Park. It was lovely to see your club in action, and I’m honoured to be one of your local representatives. From my own experience in developing the sports centre in Mervue, I appreciate both your undertaking and your vision. I hope I am able to be of assistance to you, both in the present situation, and also in helping you in your long term goal to establish a purpose built gymnastics training centre in Galway. I understand that you are currently providing as many as 1500 sports training hours each week. This is a massive achievement. Any sport which is catering to so many hundreds of children must be supported by volunteers, obviously, but is also worthy of funding. I am very interested in helping your club to achieve the sports funding required to ensure continued growth and success. I will investigate the schemes which I think may be of financial assistance to RGC, and guide you in obtaining access to them. Thank you, Declan, for taking the time to come and visit our club. We wish you well in the local election, and hope to see you back again soon. Remember, our adult gymnastics classes run every Monday and Wednesday, 8-10pm! These are operated on a pay-as-you-go basis, and are open to anyone 18+ whether beginner or advanced. See you there?